An error is triggered when accessing hidden API, for example local fields of a super class, or protected functions of another object. 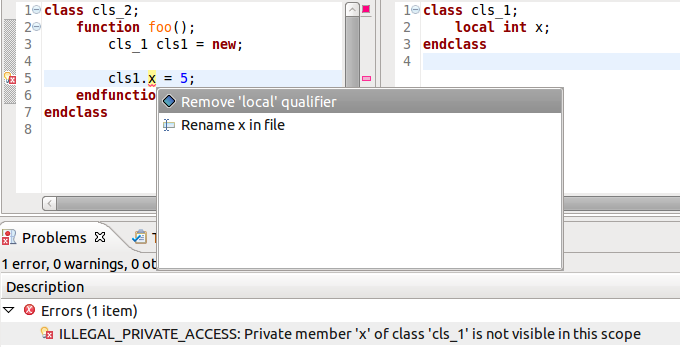 Place the editor cursor on the error's line and press Ctrl + 1, select Remove 'local' qualifier or Remove 'protected' qualifier from the list of quick fix proposals and press Enter. The declaration of the field is revealed in the editor, and the local qualifier is removed.